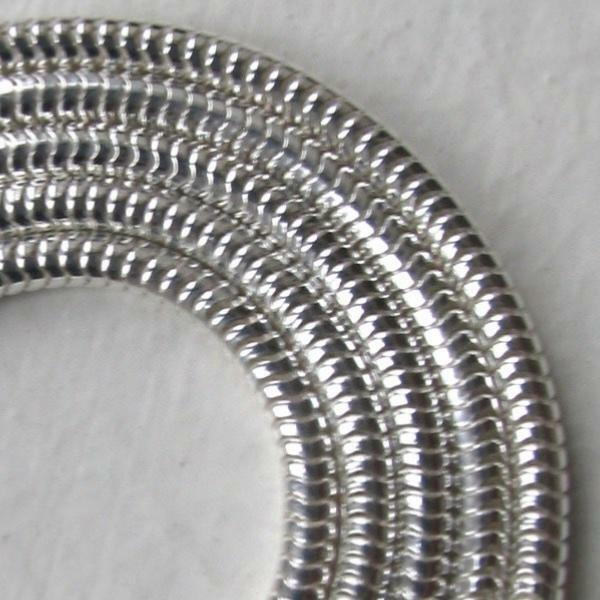 Italian sterling silver snake chain, width 2mm. 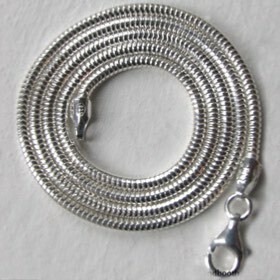 This is a substantial round snake chain, made in Italy. 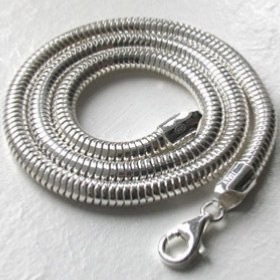 This silver chain represents excellent quality at a great value for money price. It behaves in a wonderfully liquid fashion, moving freely and will curve rather than crease. 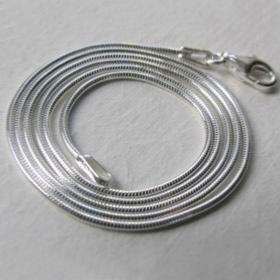 Use this premium sterling silver snake chain as a pendant chain and the pendant will move freely along the chain not catching along its length. 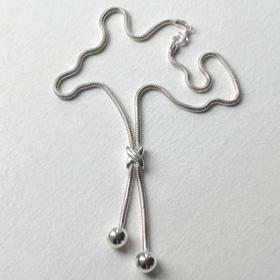 This silver chain will not overshadow your pendant but enhance it. 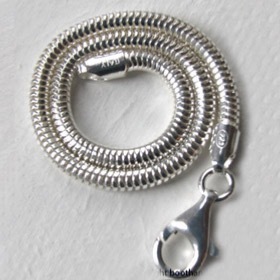 Everyone should have a silver snake chain in their collection. 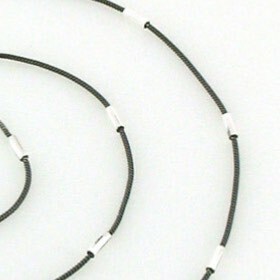 They are sleek and elegant and strong enough for daily wear. 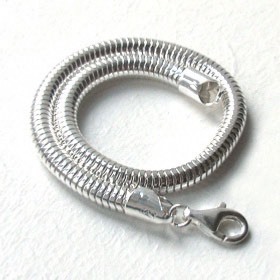 The snake chain fastens with a sturdy lobster claw fastener. 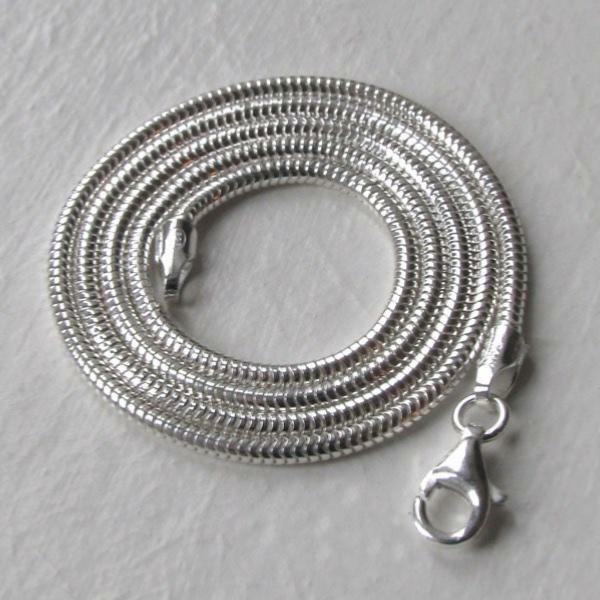 We offer this 2mm snake chain in lengths 14" to 30" to suit all neck sizes and purposes. 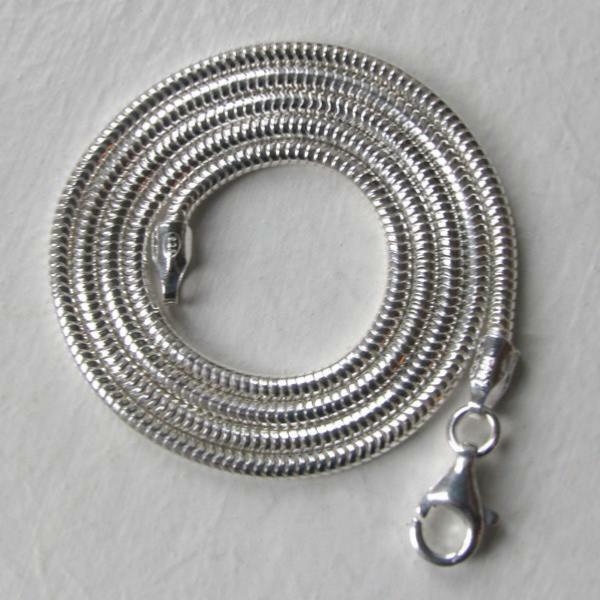 Our silver snake chains are available in 1.1mm, 3mm and 5mm widths in a wide range of lengths. 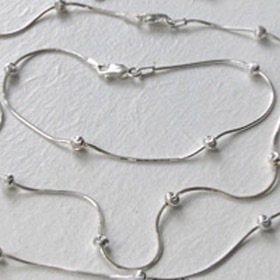 Explore our entire sterling silver chains collection. 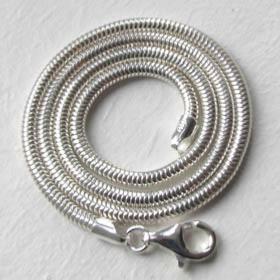 Your Booth and Booth silver snake chain will be lovingly packaged in a smart presentation box - for free. I have received my beautiful chains. Thank you so much. My eldest daughter was wearing a gorgeous chain the other week and as soon as I saw it I knew it was one of your chains. I said to her how nice her pendant looked and the chain was a perfect length and thickness. It's was a 2mm 30inch snake chain. My daughter said to me: 'I don't know where I got this chain from but if I could buy 1000 of them I would, they are so perfect and look they do this'. She then showed me the way your chains are so well made and fluid that they curl and bend without being solid and immovable. My daughter told me that only the best snake chains do that. So I knew I had to get a couple more of your fabulous chains! 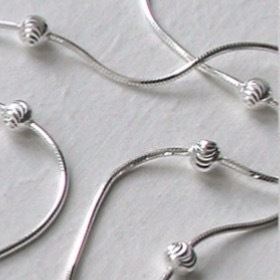 Fluid and will create attractive knots to make a unique silver necklace.